Vembu Technologies is a leader in providing cost effective, hybrid data protection solutions to SMBs across the world. 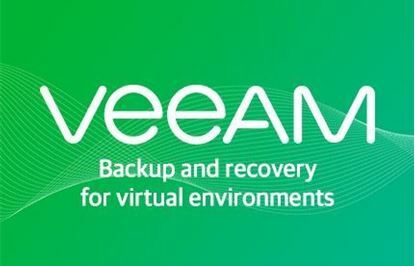 They are trusted by thousands of SMBs and Educational Institutions for the hybrid (on-premise and cloud) backups of their distributed and heterogeneous environments. MSPs who are using StoreGrid to provide their online backup service and who use ConnectWise Manage to manage their customers can now monitor their customers' backup and restore jobs, and available disk space directly in ConnectWise Manage. It even lets the customer accounts in StoreGrid be mapped to the appropriate company accounts in ConnectWise Manage so that service tickets are created under the respective accounts. Enables Service Providers to use ConnectWise Manage to manage their online backup service along with their other IT services. Get alerts on backup and restore failures under the customer account in ConnectWise Manage. Service Providers can now be informed proactively of any missed backups. Gives the Service Providers the flexibility to inform their customers of the status of the backups the way they want it through ConnectWise Manage. Manage critical license and backup storage related alerts from multiple StoreGrid backup servers in a single ConnectWise Manage interface. Vembu used to be an excellent solution. Catering to the smallest of backup plans to the Complete BDR solution all at a good price. However, they have turned their backs on their IT partners by discontinuing the Branded solution. I have invested a lot of time into building my offering including website and infrastructure and Vembu is no longer selling MCAL's for my branded version. I am now forced to switch. ConnectWise used to sell Vembu MCAL's and even they have stopped. Shame on Vembu. The review before 2014 were right, vembu WAS a cost effective and great self hosting solution with the ability to white label it. That all changes this year just as Dan mentioned in his review. We were promised V6.0 and V6.1 which causes some partners to went out and purchases new equipments. Turns out they were using the partners to test their products for bugs as they change their direction from selling through MSP to direct, from self host to using their amazon cloud. The dynamics has changed from MSP being a partner to being a reseller who market their brand, products and earn a fraction of the profit. NONE of the partners know of this intention until the day when we saw the download link was missing and ask about it. Please stay away from them, I don't trust them as MSP or partner centric any more with the way they handle matter. They have a couple of bugs in the last version which I let it pass because they fulfill a lot of our needs. Anyway I am happy as we explore other backup and found better options due to this incident. With the old reviews, I would have agreed with them at that point in time...give or take. However, we had to completely revamp our online backups company due to Vembu and their decision to take our their partner offerings. So, to keep it short, Vembu pulled their MSP offering and replaced it with their own offering hosted in the Amazon cloud. Any and all partners that were using their own storage and data centers had to move to this hosted product for a minute fraction of the profit or only get support on the current version 4.4.2 for one year with no chance of upgrade or patch releases. This was not announced. They did not contact anyone. I'm still running to partners, months later, who found out about the change through some online forum or a support call. Some partners affected by the change were strung along for 6 months or more, BETA testing version 6.0 and 6.1. When it was finally released they purchased new hardware to host it on, as it was released as a partial version and also not an upgrade to the current product, only to find their download link removed. When inquiring about the link, they were informed about the change in company strategy. Feel free to contact us in our LinkedIn group "Gotcha!" if you would like more information. We moved to GFI Max Backup (IASO) and it is absolutely amazing. Also, Vembu's "integration" into Labtech was a joke. Best cloud backup solution we have been able to fine. The tool is very powerful and flexible and the pricing is great! They are quick to provide support and the software is very reliable. Extremely flexible solution that you can run on-premise or in the cloud. 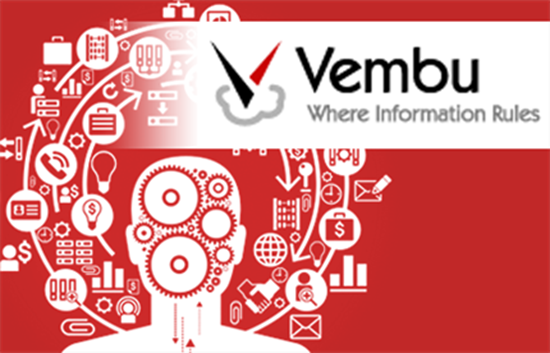 We have been working with Vembu for several years and see them continuously innovating and developing new and deeper featuresets.